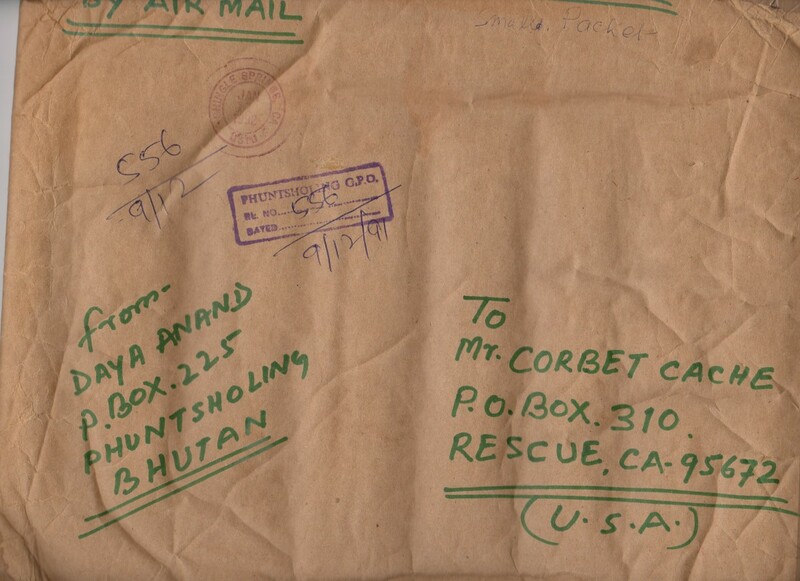 I recently acquired this Bhutan cover, which caught my eye first because of the large group of 14 3D stamps. 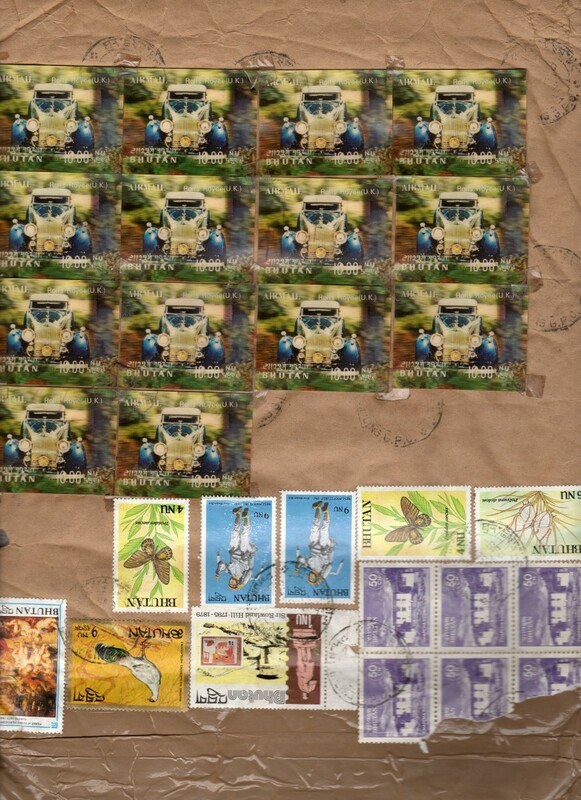 The cover in general is interesting as it contains a total of 28 stamps of 8 different designs. The cover was mailed in 1991, but the stamps span years from 1968 through 1991. The total face value of the stamps is 184.5 Bhutanese Ngultrum. Although this seems high, this translates to roughly $3.00 US. Phuntsholing (also Phuenstsholing) is a border town between Bhutan and India. 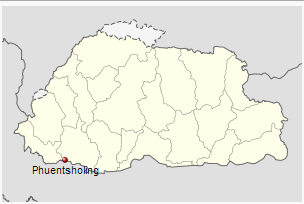 Daya Anand, according to some research, was actually an Indian Stamp Agent residing in Jaigaon, India, directly across the border from Phuntsholing. It seems like this was probably a philatelic order, based on the crazy franking that was used. Also – this item ended up being too large for my Vario G album, so I have to devise some sort of new storage system for extra large items such as this. Lovely item… I’ve got a couple of (postally used) 3D stamps as well (alas no Bhutan), and I’ve noted that they tend to ‘warp’ over the years. So keeping them under some sort of ‘steady pressure’ from the start might be wise. Thanks Keijo – I decided to seal it up inside 2 large ziplock bags overlapping (along with a note), and have it stored upright, in a large heavy enveloped, compressed between 2 albums. Those 3d stamps are all taped onto the cover (and to each other) with little pieces of tape. Whoever put this together must not have trusted the adhesive on the back of those stamps.